Mommy magic is the ability to make a scraped knee feel better with a band-aid and a kiss. It’s that sixth sense that knows where to find a lost lovey at bedtime. It’s how a million little details quietly get done to make a birthday special. Last night I returned home to my family after a short trip away. As I was putting my children to bed, we were going over our checklist for today. 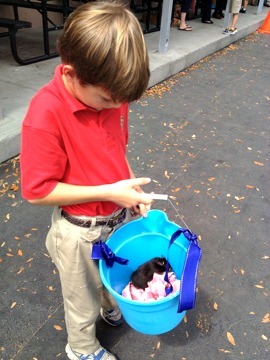 I asked Campbell if he and Smokey, our hamster, were ready for the Pet Parade at school the coming morning. 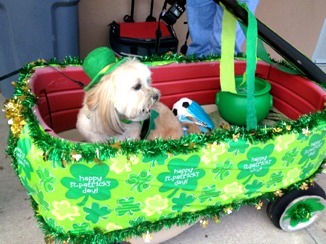 Tears, and fear of having no pet for the Pet Parade, ensued. After he shut down my idea of Smokey being an ‘Invisible Hamster’, I kissed his head and said I would find him. Today at 12:30, I showed up at the Pet Parade with Smokey, the Escape Artist hamster. Campbell was overjoyed because I had worked my Mommy Magic. But it’s not magic at all, is it? Let’s rewind. I went to bed last night wondering how I was going to find a nocturnal hamster. Was he under the kitchen sink? The bathroom sink? In a bedroom? I laid in bed waiting. Praying. Hoping. I heard a ruffle at 2am. Was it Smokey? I put on a headlamp as to not wake my husband. I crawled around the floor…in my nightie…with a headlamp…following the noise for an hour and a half. I finally caught him. I returned him to his cage but wondered how long before he escaped again, after all escaping is his specialty. So I put the cage in the bathtub, a double barrier of sorts. At the moment, I think I’m brilliant. Come today about 2 hours before the Pet Parade, I tweak the wires of the cage for the journey to school. It appears secure. A quick shower later, I return to an empty cage. Thankfully he hadn’t gotten far and it was an easy capture. This time I grab a deep kitchen bucket, one with walls too high to scale. We hop in the car. I exhale but a little too soon. 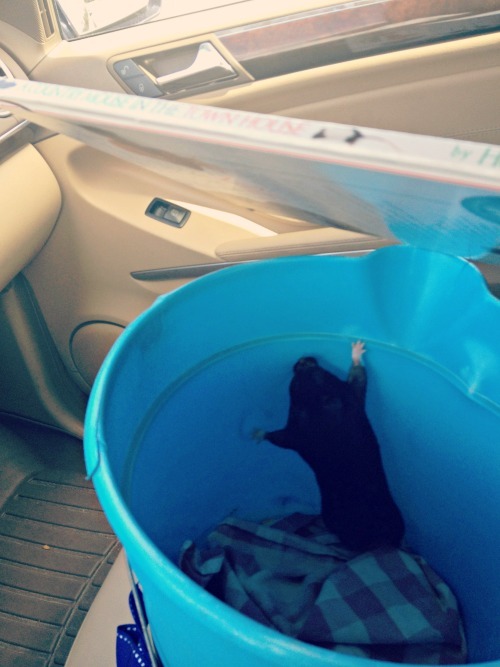 At a stoplight a mile from school, I see the hamster on the passenger floor mat jetting into the crawl space leading to… who knows where. The engine? I pull into the Publix parking lot and, in desperation, buy celery and peanut butter to lure Smokey out of hiding. Not immediately, but it worked. Ten minutes later, I arrive at the Pet Parade. 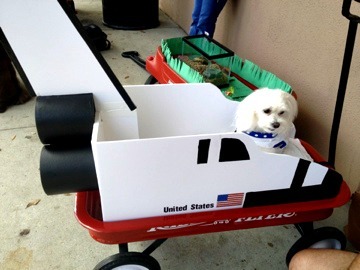 There are spaceship-themed wagons with astronaut dogs. There are chickens on a hay-rides. There are princess cats, Ballerina bunnies, and Magician dogs. I show up with a dirty kitchen bucket, a dishtowel shoved into the bottom, and Smokey peeking out from underneath. Although uncharacteristically uncreative, I’m thrilled with the result, a living hamster. When Campbell saw his beloved pet, his eyes looked into mine and sparkled. “Mamma! You found him! You’re the best!” He carried that rodent around with such pride letting his friends take turns ogling over it. I had a secret story today that nobody else there knew. 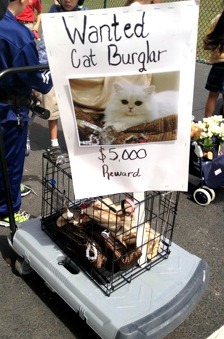 As I looked around this amazing display of pets and parents, I realize that I’m surrounded by a lot of secret stories. The dad who snuck out of an important meeting just in time to see his daughter twirl with her cat. I watch a mom work her magic as she calms her anxious son’s nerves over parading in front of a crowd. Whatever she whispered into his ear worked. 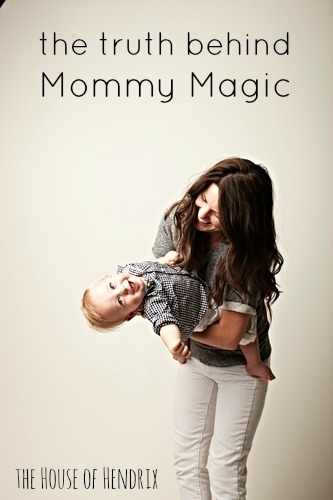 The truth is mommy magic is simply the result of an unexplainable love that makes us do over-the-top ridiculous things to delight our children, to avoid catastrophic meltdowns, and to bring peace to our loved ones souls. We can find missing shoes because our minds never shut off. As we walk from a bedroom to a garage, we’re cataloging everything we see for future use…a channel changer peeking out from a couch…a shin guard in the pantry…a stuffed animal in the backyard. This deep love also makes us willingly, and without hesitation, give our time, sleep and energy to our children. Love is interesting like that and sometimes doesn’t make sense to an outsider. 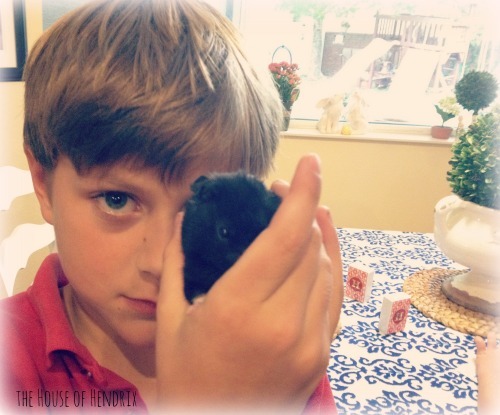 Because finding that hamster was important to my son, it was important to me. You may spend hours making a birthday cake shaped like a Lego robot to create that magical moment for your child. Or you may go to 7 stores looking for the perfect pair of shorts that don’t have an itchy tag in the back. Maybe you work an extra job so your child can play club soccer. Or maybe you have simply brought peace to a home that desperately needed it. Today I celebrate mothers because you make magic happen each and every day. Your stories may never be told and your sacrifices never acknowledged, but you change the world around you with your love.